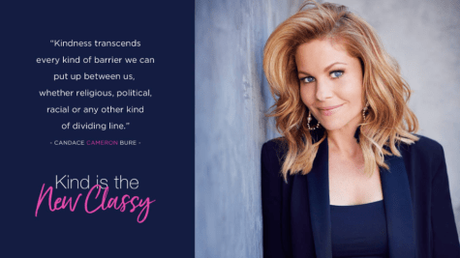 Actress and author Candace Cameron Bure will be the guest speaker at Middle Tennessee Christian School’s 2018 Legacy of Light Gala on April 28th. “Bure’s story of faith is both thought-provoking and inspirational. Combined with her delightful demeanor and long-lasting successes, she stood out as a great choice for the speaker at Middle Tennessee Christian’s annual spring fundraiser,” said MTCS President Matt Tiller. Known worldwide from her role as D.J. Tanner on the iconic family sitcom “Full House” Bure continues to flourish in the entertainment industry years later. With an acting career that started at age 5, she grew up in show business alongside her brother Kirk Cameron and has appeared in countless national television commercials, prime-time hits, made for TV movies and feature films. She reprised her role as D.J. Tanner in the Netflix original series “Fuller House.” Her latest book, “Kind is the New Classy: the Power of Living Graciously,” is set to be released Tuesday, April 24th.